The Project by Everhard range of traditional laundry units are long lasting, practical, affordable and backed with a 25 year warranty. 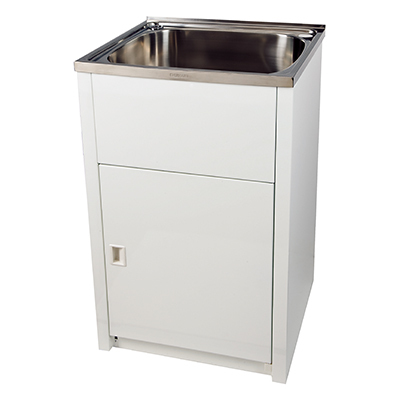 Powder coated steel laundry cabinet with Dupont ® Coating for extra protection against rust. Everhard Project Metal Laundry Cabinets are powder coated with Dupont® Coating, not manufactured from pre-painted metal sheets like other cabinets on the market. That is why we offer 25 Year Warranty on our laundry cabinet giving you peace of mind you made the right choice for your laundry.